Last week The Atlanta Business Chronicles published an article announcing St. Vincent de Paul Georgia’s capital campaign: Hope Transformed. The publication highlights the scope, depth, and significance of the venture while highlight the positive impact this campaign will have on the organization’s ability to help those in need through the state of Georgia. Thank you to the St. Brigid Knights of Columbus for donating 900 brand new pairs of socks to St. Vincent de Paul Georgia last week. Warm items such as socks are needed during the winter season because they help us provide clients who have been affected by homelessness with a warm pair of fuzzy comfort to put on their feet as Georgia temperatures drop. These socks will be distributed to families and individuals in need that visit the St. Vincent de Paul Chamblee Family Support Center. Yesterday, over a dozen volunteers and hundreds of supporters kicked off Clark’s Christmas Kids 2018 at the Ashford Dunwoody Wal-Mart by purchasing gifts off the christmas lists of children in foster care throughout the state of Georgia. The next time you’re tuned in to WSB Radio, be sure to listen out for the new St. Vincent de Paul Georgia commercials. When you make a gift to St. Vincent de Paul Georgia, you make possible the programs and services that allow us to transform lives. Whether it's fighting hunger, preventing homelessness, or providing support and training that leads to long-term stability, your gift will enable us to bring hope and help to our neighbors in need. Together, we can transform lives. 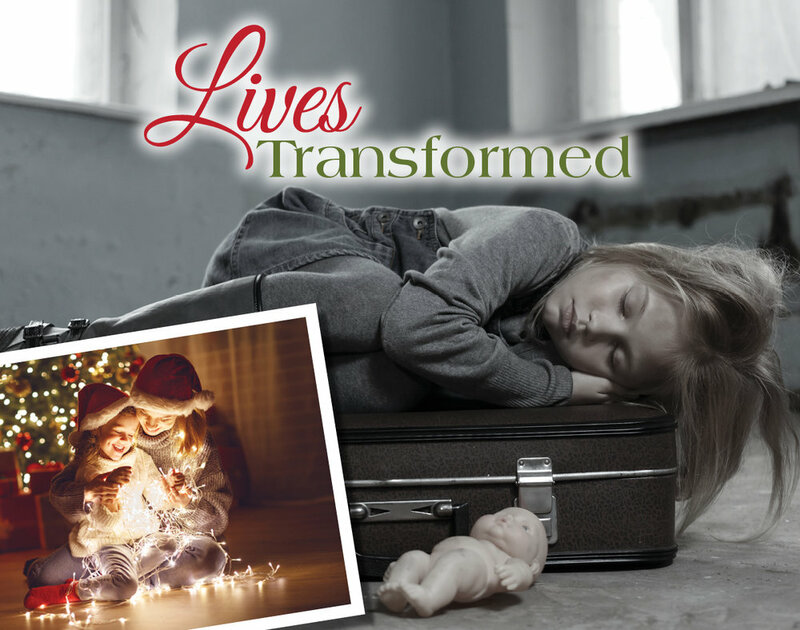 Give generously to St. Vincent de Paul Georgia this holiday season and help us transform the lives of families across Georgia. Listen to St. Vincent de Paul Georgia’s Executive Director John Berry on Eric Von Haessler’s WSB Radio morning show discussing SVdP’s impact in Georgia. Be sure to look for the St.Vincent de Paul Georgia ad in today’s Atlanta Journal Constitution! On October 21, 2018, St. Vincent de Paul Georgia hosted the 11th annual Evening for Hope Gala which was held at The Renaissance Waverly Hotel. The gala was attended by more than 400 corporate professionals, volunteers, and community leaders. Gala proceeds will be used to support our work with families and individuals in need throughout the state of Georgia. SaprotaReport recently published an article by St. Vincent de Paul Georgia’s Executive Director John Berry entitled, “Addressing Homelessness At It’s Root Cause”. In the article Berry emphasizes the importance of fighting Georgia’s rising homelessness rates through proactive community programs. He highlights how SVdP is doing its part to combat homelessness in Georgia by offering several programs including the Direct Aid Program which provides those in need with the financial relief they need to stay in their homes and avoid displacement. We believe prevention is the most cost-effective way to address the problem of homelessness, especially when compared with the high cost of sheltering the homeless, yet very little of our federal dollars are used in this way.